We want to thank Cummings Moving Company for a smooth, easy and professional move into our new home! 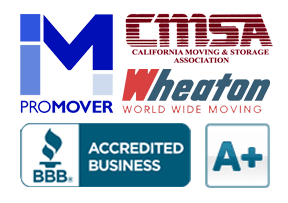 We were very impressed with the high level of service, from the initial estimate to the packing and then to move day. The movers were very nice guys and worked incredibly hard. They took great care to ensure that nothing was broken, scratched or mishandled. We would highly recommend Cummings Moving Company to any friends planning a move!